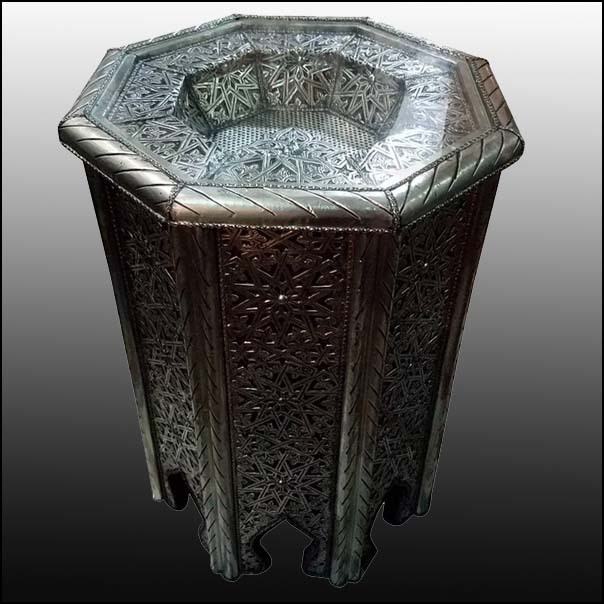 New Style Moroccan octagonal shape wooden side table, 100% Metal Inlay. This table measures approximately 16″ from side to side and 20″ in height. Rare style. Glass top to cover an intricate hollow inside. Please email me if you have any questions, or for a shipping quote. Other styles available. Thank you for shopping with us ! !